Win a $100 Amazon Gift Card! Princessly Polished is on Facebook! Is it any surprise that things didn't go as expected for me this month? I ended going back to work 2 weeks earlier than we were planning on, and now I'm just starting to get into a new routine. Again. As I said a couple posts ago, I'm trying for blog updates on Wednesdays and Fridays for now! One of these things got checked off, but I already need to update my social media buttons again. The media buttons I'm using currently seem a bit off with my new layout, anyway. (Does this mean I should have left this item un-crossed off?) As for my other projects, my Storenvy shop is close to being completely stocked (and I've already made sales! So I'm not too upset about that - I'll have the rest of my destash polish listed soon. The light box hasn't been built because I couldn't find a box that I was 100% happy with. I refuse to buy a square box... I know I will get one to recycle eventually. Nail It! magazine - I picked up my first issue at the supermarket, curious to see what it was like. I posted a review and started a subscription! Hopefully I subscribed in time to get the March/April edition delivered right to my door. Do you read this? Zoya polishes - I allowed myself 3 new bottles of Zoya during their Color2014 campaign, but I'm not to enthused about the exclusive coupon that followed. I adore their pastel spring line, but I'll wait. Swatch sticks - it's funny, I ordered these so long ago that when they arrived I couldn't remember what they were until I opened the mystery package and surprise! found the clear sticks that I needed. These ones are different than what I have been using, though. I'm sad that they don't look identical, but wondering if they will perform better. They are made of a flexible clear plastic. Remember my Airborne mission from Smiley360? 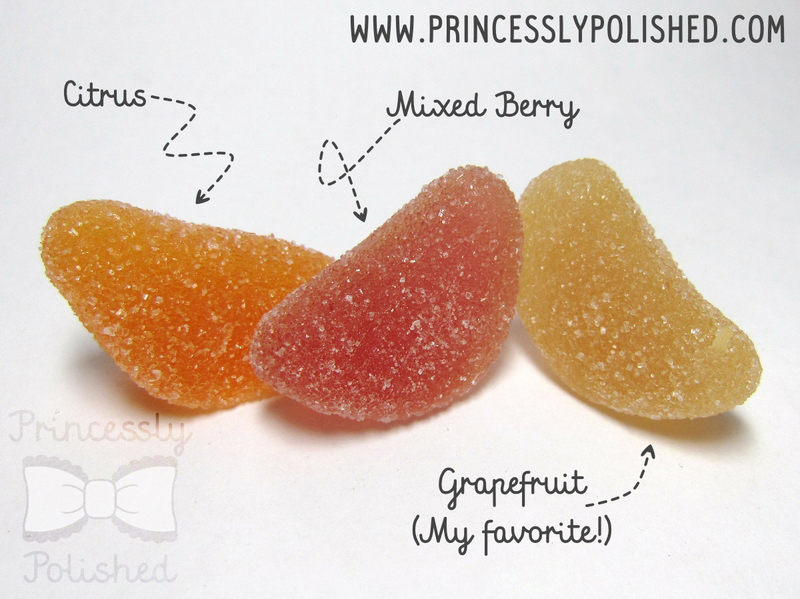 If you missed it go read my review of the Airborne Gummies, then follow this link to take a survey about what you read! You'll be entered to win a $100 Amazon Gift Card, and if one of my readers is chose as the winner I'll get a Gift Card, too! And I have no idea what I'm doing on there. Okay, so I'm not quite that bad off. But I had managed to avoid FB for so long... finally I broke down to create a page for my blog. I wanted to claim the name and also be able to connect with some brands that are lacking accounts elsewhere. I have heard a lot of talk from bloggers about how disappointing the FB system has become for connecting to readers, so I won't put blog post updates on my page. Still, I've only just created my account there and it's looking quite lonely. If you have any suggestions for groups to join please share them with me! Connect with Princessly Polished on Facebook! Host a giveaway or two, or three! February! Keep an eye out for good things to come, cheer me on to accomplish next months goals!